Sunday school at SJD is here to help families introduce their kids to Jesus Christ, to plant the seed of God's Word into their hearts, to model the love of Jesus through a team of caring volunteers, and to nurture and shepherd them into a lasting relationship with God. 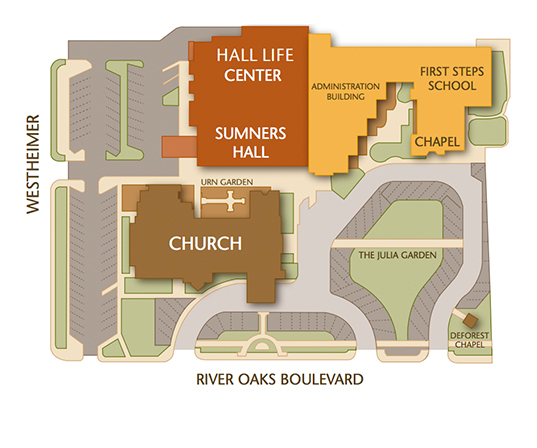 We encourage you to pre-register your children for Sunday school to simplify your first visit! First Look is our program for babies through 4 year olds. The First Look curriculum is designed to meet your child where they are cognitively, spiritually, physically, emotionally and socially. Each class has introductory activities (Make It Fun) followed by large group time (Make It True) for a time of worship, prayer and hearing the Bible story. Our time together will end with age-appropriate small group review and reinforcement activities (Make It Stick). Parent CUE materials will be sent home monthly to encourage families to continue the learning at home. 2:52 is our program for Kindergarten – 5th graders based on Luke 2:52, Jesus grew in wisdom and stature, and in favor with God and men. 2:52 is designed to provoke discovery and invite kids into a new understanding of how to grow in relationship with Jesus. 2:52 uses three primary environments (groups, family worship experience, and home) to implement our strategy and connect kids to Jesus in a meaningful way. Both the large group and small groups will be used for worship, Bible teaching, prayer, reinforcement and discussion. These unique opportunities are creative, fun, and meaningful. Intentional relationships and community are developed in these groups. We provide opportunities for families to worship together to open the door for conversations at home. Catechesis of the Good Shepherd is a Montessori-based approach to the spiritual formation of the young child, rooted in the Bible, the liturgy of the church, and the educational principles of Maria Montessori. Children ages 3 years through 3rd grade gather in an "atrium," a room prepared for them, which contains simple yet beautiful materials designed specially for their use. Children are introduced to the Bible through liturgy, parables, contemplative work, and prayers. Our Tweens program is designed for this unique age group. We begin with "hang out" time to talk with friends old and new. A gifted team of teachers will interactively present the Bible lessons to engage them in seeing God’s word in a new light and equip them with a Biblical world view. The lessons incorporate activities for all learning style (visual, auditory, and kinesthetic) and include videos, PowerPoint presentations, and skits. We build community within the class, utilizing biblical teaching as the central organizing principle. We know your child’s safety is important to you and we share that concern. From our child check in system with matching parent and child security tags to ensuring that every volunteer is screened with an interview, background check, and maintains diocesan Safe Church certification, we go to great lengths to ensure that each environment is a safe and enjoyable experience for you and your child.